If you’ve never owned a Fiesta, then the chances are that you’ve hired one on holiday, or been driven in one by someone else. Ford’s small hatchback isn’t just the most popular car in Britain, it’s a steamroller in the sales charts, where there are close to twice as many Fiestas sold as the second best-selling car. This success is no accident: the Fiesta combines comfort, performance, value-for-money and space in a way that meets the needs of hundreds of thousands of customers, from young drivers to families and retired couples. You could argue that alternatives, including the Volkswagen Polo, Vauxhall Corsa and Skoda Fabia do the same but the secret to the Fiesta’s success is that it does everything with sparkle. Whether you’re nipping through traffic in town or cutting across the countryside, there’s an energy about the car. You feel it in the way that it darts in another direction when you turn the steering wheel, or the thrust of power as you rev its high-tech petrol engines. That’s the case whether you buy the previous-generation Ford Fiesta or the latest model, which replaced it last year. New car list prices start from £13,695, but discounts bring that price to below £12,000, and there are an increasing number of used Fiestas from the latest generation too. The new car is larger, with more modern technology to match the competition, including a dashboard touchscreen in all but the entry-level car. It’s still just as fun to drive, thanks to its responsive steering and zippy engines and comfort is improved: the Fiesta now offers an even better cushioning over rough roads, while maintaining its agility in corners. 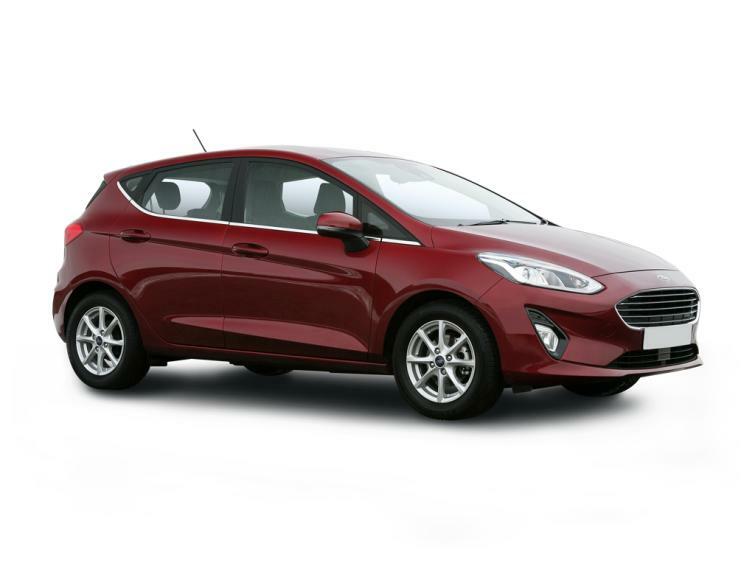 There are many more options too, including a luxurious Vignale model that comes with a panoramic sunroof and leather seats; a taller Fiesta Active version, which provides a slightly higher driving position; as well as B&O cars, fitted with a high end stereo from the manufacturer of the same name. You can choose a slightly cheaper Fiesta with three doors (two front doors and the bootlid makes three), or a more practical five-door version. Unfortunately, automatic emergency braking, which can help avoid crashes, is only an option across the range, but the car, still has a five star safety rating from the independent Euro NCAP organisation. There are two sets of Isofix mounts for child seats in the back. In the mind of Ford’s marketing team, there’s now a Fiesta for everyone, and that’s increasingly true, thanks to the extra space, which now allows most adults to sit comfortably in the back (although three is a squeeze). You could realistically use the Fiesta as a full family car, as long as you can cope with its boot which, at around 300 litres, is average for a supermini. A weekly shop or a suitcase will fit easily, but add a baby’s buggy or extra luggage and you may struggle: a VW Polo and Seat Ibiza have 355 litres of space. Excellent news, then, if you are considering a Fiesta. But before making your decision, don’t dismiss the alternatives, because Ford’s rivals have been catching up and, in the case of the Seat Ibiza, they’ve improved on the favourite. It has a similar blend of comfort and nimbleness, but is cheaper than an equivalent Fiesta with a similar level of equipment, and slightly larger in the back too. The Volkswagen Polo is probably the most comfortable small car that you can buy; Vauxhall’s Corsa is older but remains a good car and is extremely cheap as a used model. The differences are small, and you’re unlikely to be making a bad choice with the Fiesta. After all, the 94,533 people who bought one last year can’t all be wrong. The least-powerful diesel engine comes with an official 74.3mpg figure but you should expect a more realistic 58mpg, which is still frugal. It's available with Zetec trim too. A larger, clearer, touchscreen plus useful extras, such as cruise control and a speed limiter, make Titanium trim worth looking for. The 100hp petrol engine is economical, quiet and powerful enough for any road. Fast and fun, the Ford Fiesta ST is one of the best value sports cars in Britain, giving you plenty of opportunity to put a smile on your face within the speed limit. The least-powerful version of Ford's EcoBoost engine is slow and this version is surprisingly expensive (the list price starts at £17,795): it's not an appealing model, especially as the taller Active car doesn't offer any great benefits. The trim level lets you know how much equipment to expect as standard. There are nine in total, running from Style to Vignale. The engine size is given in litres (here it's 1.0). T means that it is turbocharged for extra power and reasonable fuel economy. EcoBoost and Ti-VCT engines are petrol-powered, TDCi badges indicate diesel. Because there are different versions of the same-sized engines, the power is often given in PS (virtually identical to horsepower). Most Fiestas are bought with a manual gearbox but there's an automatic option with some engines. There are no fewer than nine Ford Fiesta trim levels to choose from, all offering slightly different levels of equipment across a wide price range. Each version is detailed below, but it might be enough to note that every Fiesta, including entry-level Style models, comes with air conditioning, a dashboard screen with Bluetooth for wirelessly connecting your mobile phone; a speed limiter to help avoid breaking the limit; and automatic headlights that come on when it gets dark. Zetec cars offer good value, with 15in alloy wheels, a heated windscreen and a touchscreen with Apple CarPlay and Android Auto for simple control of phone apps. A useful addition is the Driver Assistance Pack for £400, which includes automatic emergency braking that can avoid frontal rashes and adaptive cruise control that adjusts your speed to keep a safe distance from the car in front. The cheapest Ford Fiestas are badged Style and they are clearly the budget version of the car, with steel wheels, a small 4.2in screen and only the least-powerful petrol and diesel engines to choose from. For an extra £1,500 when new, Zetec models add the equipment listed above, plus front fog lights and brighter LED daytime running lights. The 6.5in touchscreen is a noticeable improvement over the screen on Style cars. You’re also able to order the excellent 1-litre EcoBoost engine with this trim level, and there’s an automatic option too. For an extra £1,000 on the list price, B&O Play Zetec cars come with a high-end B&O stereo, plus a larger 8in touchscreen that’s clearer and easier to use on the move. Sat-nav is included too, although you may not need it, as standard Zetec cars have Apple CarPlay and Android Auto, which bring clear directions from your phone to the dashboard. B&O Play cars have the added option of mint or copper-colour paint. Titanium models offer the option of a more powerful 125 horsepower version of the EcoBoost engine. Larger 16in alloy wheels, power-folding mirrors, cruise control, climate control, automatic windscreen wipers and a main beam headlights that dip automatically are included, along with the 8in touchscreen with sat-nav for £1,250 more than standard Zetec cars. There’s a £750 B&O Play Titanium upgrade, offering the stereo and colour options (the touchscreen and nav is already standard). Alternatively, you can move up to Titanium X for £1,350 extra, which also includes a B&O sound system, plus part-leather heated front seats, a heated steering wheel. Keyless entry and start, electric rear windows and a rear view camera. At the top of the Fiesta range, the Vignale model when new is £1,350 more than a Titanium X car, and brings 17in alloy wheels, full leather seats, a panoramic sunroof and a unique wavy grille. You can choose to fit it with the most powerful 140hp petrol engine. That’s not the end of your options, though. ST-Line cars are also available with the 140hp petrol engine (as well as lesser-powered versions). Their list price is £1,250 more than Zetec models, and they come with 17in alloy wheels; sports suspension that’s a little firmer over bumps but makes the car feel sharper when turning; sports seats; keyless start and a sporty-looking flat-bottomed steering wheel. Finally, ST-Line X models add rain-sensing wipers, climate control, cruise control and the 8in touchscreen with sat-nav for an extra £1,350.